Not just a sensory delight for the nose, our videos turn Victorinox fragrances a feast for the eyes as well. 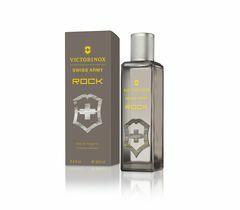 The new fragrance Victorinox Swiss Army Rock opens the door to a world full of freedom and adventurous spirit. Dive into the world of Swiss Army Rock. The return of the pure, masculine fragrance. It is marked with the contrasts of the forest: warmth and freshness, softness and intensity, light and shadow. With intense woody notes, it expresses archaic decisiveness, yet remains pleasantly light. You're off on a spirited adventure in the wide open spaces of nature - what a wonderfully liberating feeling after a week of hard work. You want this sensation to last as long as possible. And now you have that option. 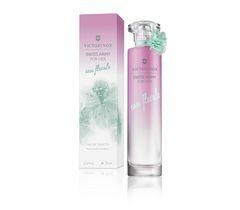 Feel refreshed and energized with our Swiss Unlimited Energy Eau de Cologne. 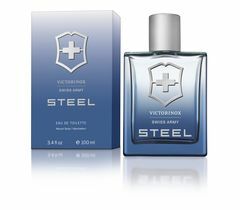 The fragrance will exhilarate your senses with refreshing notes of grapefruit, nutmeg and cedar-wood. Experience walking in a forest, smelling the fragrance of the woodlands and meadows, and taking a small step back in life to set out on a journey of a lifetime. A camera team followed us while developing not only the scent but also the packaging and the advertising campaign. An interesting and magical process! The new Victorinox Ella fragrance arouses your wanderlust. That’s why we create Ellawalks around the globe. You can even create your own.